PEDRO is the embodiment of sophistication and style with a line of footwear and accessories for men and women. Coupled with an international influence and the versatility of today, the collection is perfect for every occasion. 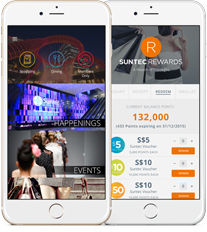 - Valid upon presentation of Suntec Rewards Program member's e-card. - Not valid with any other discounts and/or promotions such as member privillege, discount items, staff discount, and/or special project items. - PEDRO reserves all rights to vary these terms and conditions at any time without prior notice.